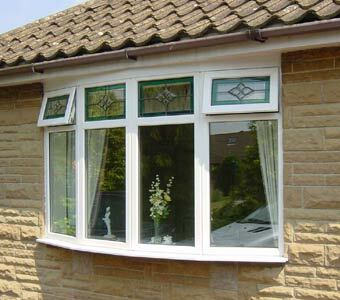 Bay / Bow upvc windows from A6 Windows make an attractive feature to any property . They also make a big difference to the feel of a room, the room will feel much larger and they will give better energy efficiency. 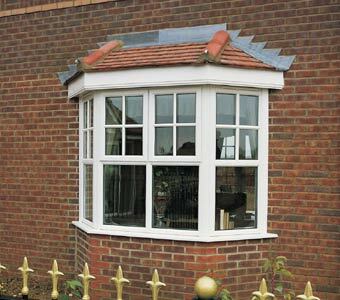 We specialize in replacement double glazing bow and bay windows for 3 to 7 segment bays all bespoke installations. Including conversions from flat windows all fitted to such a high standard that your home will look as if the windows were installed as a part of the original property. Under new building regulations load bearing bay and bow windows are now covered by FENSA. All bay and bow windows are constructed using structural bay pole assemblies . Under new building regulations load bearing bay pole jacks must now be fitted through the external sill into the bay pole assembly kit. This creates a structural support from the brickwork under the bay or bow window to the head of the aperture. No problem! A6 windows can also provide solutions for non standard window shapes. You can have any sort of design including every type of round or square bays, to bow windows conversions providing a pleasing curved alternative to traditional flat frames. You can even have special shapes too like round or circular windows, triangular shapes and every style of arch.